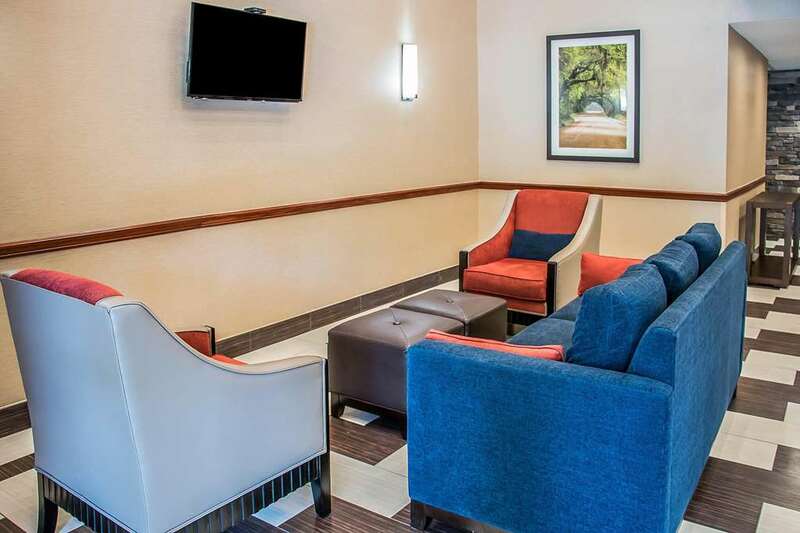 Get more of the space you need to spread out, relax or work at the pet-friendly, smoke-free Comfort Suites Hilton head Island Area hotel in Bluffton, SC. Nearby attractions include Coastal Discovery Museum, Heyward House Historic Center, Hilton Head Island Golf Courses, Historic Downtown Bluffton and University of South Carolina Beaufort. Enjoy amenities like free hot breakfast, free WiFi, outdoor pool, fitness center and guest laundry facilities. We also have a 49-person meeting room. Rooms include a flat-screen TV, microwave, refrigerator, coffee maker and recharge device. Also, earn rewards including free nights and gift cards with our Choice Privileges Rewards program. Pet accommodation: $25 per pet per night, max 1 per room up to 25lbs.